Home > Quality > How Well Made are Toys from China? The words 'Made in China' on a toy are nothing new – but recently Chinese imports have been under scrutiny following several high profile product recalls – including some big name brands. Parents are quite understandably worried about the safety and quality of toys that have been made in China, following the bad publicity. How Many Toys are Made in China? Although there have been some serious safety scares with Chinese manufactured toys in recent years, it might surprise you to know that a staggering 80% or more of all the world's toys are made in China - as well as most of the world’s consumer products. As so many of our everyday consumer goods – and our children’s toys – are made in China, it’s reasonable to expect that the Chinese manufacturing infrastructure should be very highly developed and efficient. Although safety recalls of Chinese imports always strike fear into the heart of parents everywhere, trade organisations like the British Toys and Hobbies Association BTHA) still believe that they should probably be looked at in a wider perspective. 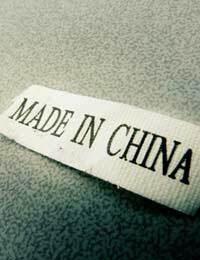 What Quality Assurance is there for Chinese Imports? All toy manufacturers and their subcontractors are expected to abide by strict controls in order to be able to export their toys around the world. This includes any toys made in China. They have to carry out quality assurance steps including regular reviews of quality control methods, paint screening and testing, and tests of ethical manufacturing standards. Most reputable toy manufacturers also send their products out to be tested by independent certified laboratories. Why are so Many Toys Made in China recalled? No matter how hard people try, there’s always room for human error or a breakdown in the system, and this happens to Chinese imports as well. The most important thing is that problems are picked up and rectified as soon as possible, and although the words ‘Voluntary Recall’ will worry parents who have bought the toys concerned, they do at least prove that the manufacturers are carrying out quality checks and dealing with any problems as they come up. Unfortunately, millions of Chinese-made toys were still recalled in 2007 due to fears which included loose magnets and high levels of lead in paint. The EU has a rapid alert system for dangerous products – and recent figures showed that 48% of alerts involve products made in China, of which 25% are toys. One major US toy firm at the centre of some of the major recalls was forced to recall around 20 million toys globally. Recently, there has been a new initiative signed by China and the EU countries called “Road Map to Safer Toys”. This regulation was brought in to help address the fact that there are obviously some Chinese manufacturers who don’t have an up to date and detailed knowledge of toy safety regulations, and to improve awareness of EU safety laws throughout the Chinese manufacturing industry. Recent signs are good – according to a report from the European Commission in 2007, China has been making “considerable progress” in improving the safety of the toys it exports. What Should I do if My Child's Toy is Recalled? Take it away from them straight away - and take it back to the shop! Usually, if there is a safety concern over a toy, whether it’s made in China or not, the recall will be widely publicised and contact e-mail addresses or telephone numbers will be available. If not, take the toy back to the shop anyway, and ask for a refund, or compensation such as a replacement toy. The shop should be aware of the recall, and if the toy is considered to be unsafe, you have rights under the Sale of Goods Act. Take it back to the shop if you think it is faulty or fake. If it has the CE safety label it will have been tested according to EU safety standards.